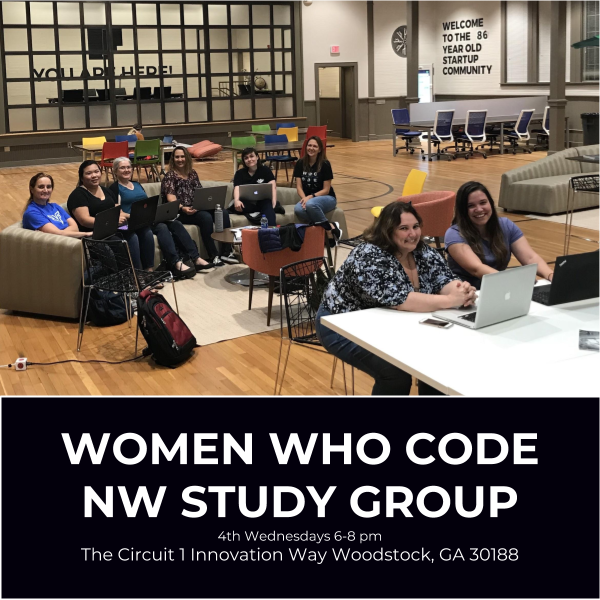 Come join us for the NW Atlanta Study Group and meet your fellow WWC “neighbors”. This Meetup provides an opportunity for those who live and work in the NW OTP a convenient location to hang out and code. All experience levels and languages are welcome – from newbie to guru. This is a great place to dedicate some quality time to learn that new language, your side project, or whatever it is you’re currently working on. So, come join our fun, no-pressure environment from 6 pm – 8 pm at The Circuit (http://circuitwoodstock.com) in Woodstock and maybe you’ll even find carpool buddies for other WWC events. **Please bring a laptop and pick up some dinner on the way. There is no food for purchase at The Circuit.